Another week of alone time. I have just been playing minecraft alot. I can't think of anything else to to really. I do have a dentist tomorrow, which I am NOT looking forward on. But I am just trying to keep my mind focused on the thing I am going to do after the dentist. I will go to the city center and look for more Halloween stuff. And maybe some Halloween themed clothes if possible. It's kind a luck's game in Finland to find Halloween clothes but I'll give it a try. In the matter of fact I already had some luck in Lindex! The kids section were selling cool bat and spider tights. 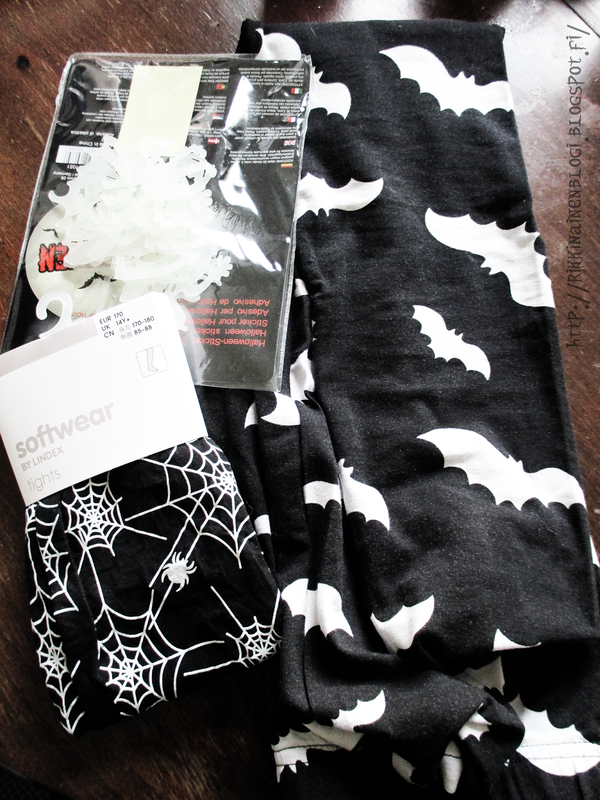 Also there were these bat leggings! Even more lucky me, they had them in size 170cm and they fit great. Still, they should put some Halloween stuff on the adult section too.. The glow in the dark things weren't from Lindex but I got them on the same trip. Last week when my friend was here, we went around some flea markets. 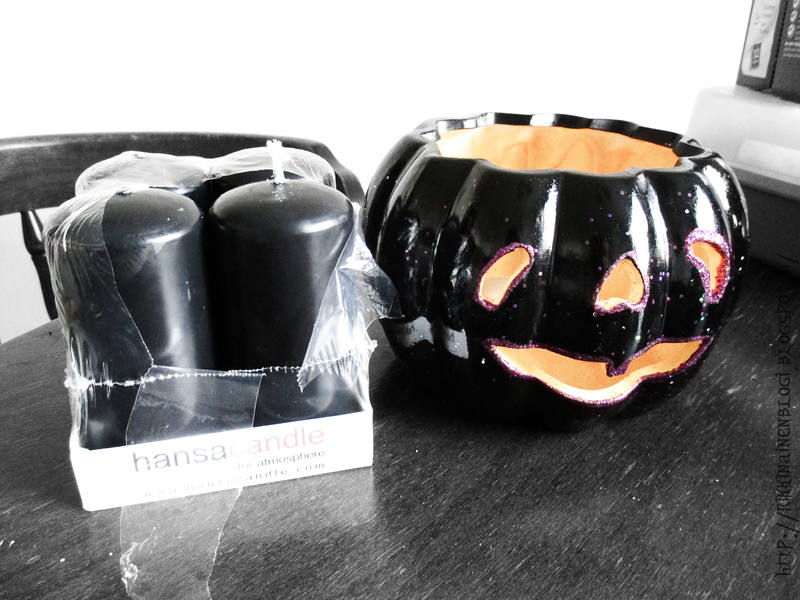 I found some black candles, which can be hard to find, and this pumpkin lantern. I like it because it isn't too orange. And today I got these from Prisma... The cookie cutters I got mainly because I wanted the bat shaped one. But the other ones are nice too. Also I could not resist these cute little spiders ahhh! I think there will be some more Halloween hauls on the way. 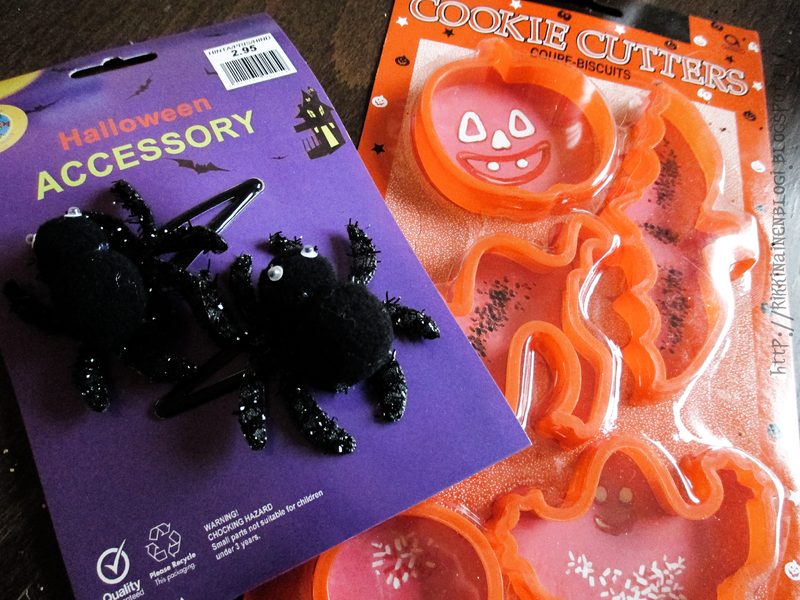 Everyone is free to express their annoyance to my Halloween hauls if they wish to do so. But I just get so excited every October, Halloween is the only holiday I take part on, and it's not even official here. Kerrassaan kiva mekko ja kengät! Love the outfit, and that body is perfect.